A truck horn sounds through Armando’s colonia, his neighborhood, near the city dump. Señor David is back, setting up school on a blue tarp spread on the ground. 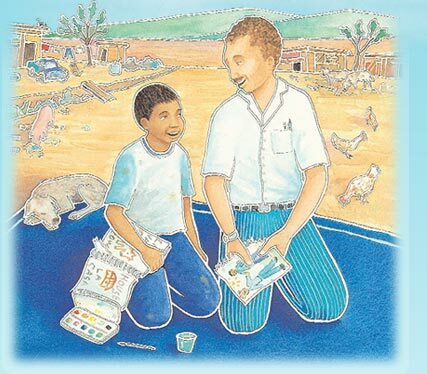 Oh how Armando longs to go to this school, but he knows he must help his father pick through trash in the dump for things his family can use, recycle, or sell. When Armando’s parents at last decide to let him spend afternoons at Señor David’s school, Armando is overjoyed. He’ll learn to read and write. He’ll learn numbers. Best of all, he’ll draw pictures. And one momentous day Armando’s love of drawing helps bring an almost unimaginable treasure to the children of the colonia. Armando and the Blue Tarp School is featured in Linda Salem’s blog for San Diego State University Library. Click on this link to read about the making of the book. 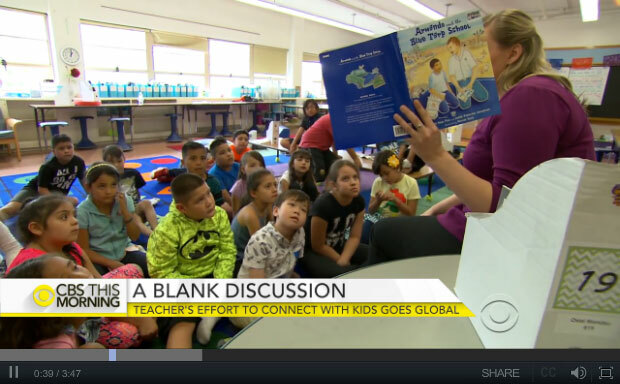 To help celebrate One Book, One San Diego's tenth anniversary, we recently did an author presentation on our Armando and the Blue Tarp School at Dool Elementary, Calexico. Students did awesome projects. Great, engaged kids and warm, kind teachers. Thanks, KPBS! Edith Hope Fine (left) and Judith Pinkerton Josephson (right) are full-time writers of children’s books and stories. Fine’s Under the Lemon Moon, published by Lee & Low Books, was a Parents’ Choice Award Honor book. Josephson’s biographies of Walt Disney and Beethoven won first place in the San Diego Book Awards. Fine and Josephson met David Lynch—whose work in a colonia of Tijuana, Mexico, was the inspiration for this story—in 1985 while freelancing for the Los Angeles Times. Fine and Josephson both live in Encinitas, California. Their Web site is GrammarPatrol.com. A portion of the proceeds from this book will be donated to Responsibility, Inc.
Hernán Sosa, born in Argentina and raised in Paraguay, received a degree in visual communications from the Colorado Institute of Art. He currently works as an illustrator of children’s books and as a graphic designer focusing mostly on magazines. Sosa and his wife live in Denver, Colorado. 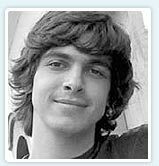 Visit Hernán Sosa's web site. © 2009 Bluetarpschool.com. All Rights Reserved.